Name: Converted Creations with Nancyfangles Brown ~ Mixed-Media Bookmarks and Tags Too! 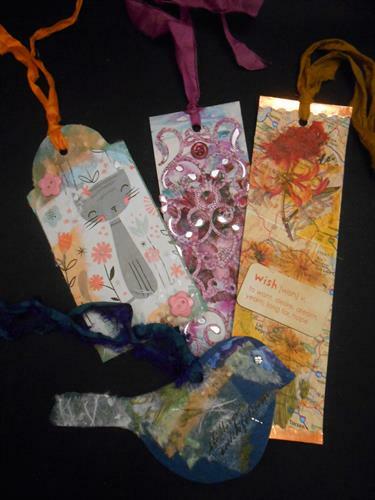 Mixed-Media Bookmarks and Tags Too! What do paper, Mod Podge, and Ink have in common? To create your own, One of a Kind Designs! Thrift ~ 449 Industrial Blvd. Suite 250, Ellijay, Ga.
Wednesday, February 20th from Noon till 2 p.m.